When Cosina launched the the CX-1 & CX-2, little did they know they would become more famous as the cameras that inspired the Lomo LC-A. But that spark was not limited to the (in)famous Russian copy. Several other makes produced similar designs and here’s Hanimex’s take. We’ve trod this ground before with the Halina 35 Micro (aka the Hong Kong Lomo) which was disappointing due to lack of focus, exposure control and any over-riding of an overly sensitive auto flash. 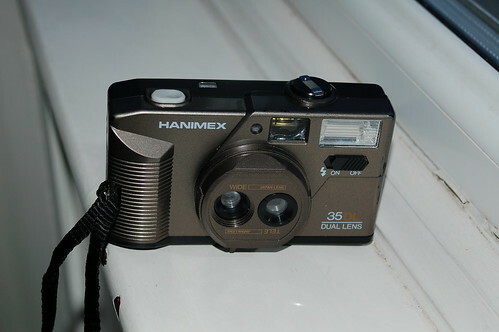 The Hanimex instantly won me over as it resolves all 3 of those. 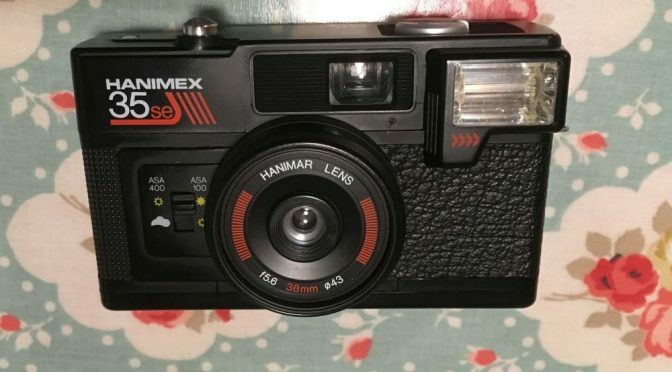 But is it any good and is it a lomo rival ? This wacky fixed focus number arrived early on into the Poundland challenge. 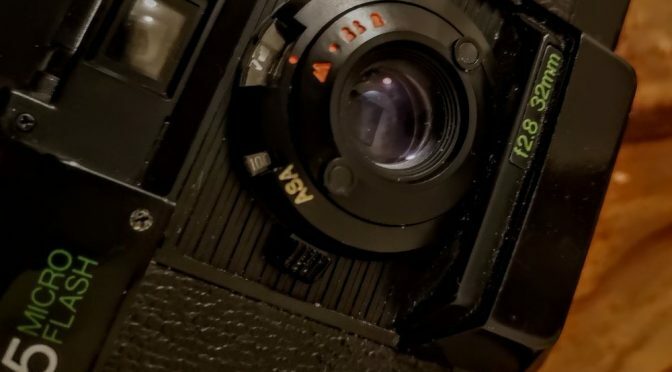 This quirky 2 lens camera was also sold as Cronus 35DL and Kin Son 35 DL and is closely related to the Miranda TL-200 and its clones. Sadly mines arrive with some batteries in – possible the most corroded batteries I’ve ever had. But could I get it working and was it worth the effort ?